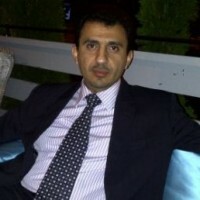 Raid Bukhamseen is an incredibly accomplished, dynamic consultant with over 18 years of multinational experience in diversified areas in the oil and gas exploration and production industry. Raid has been working for both oil and gas service companies and international E&P operating companies in top management. In his current role as Oil and Gas Technical/Operations Consultant for Naphtatech, Raid has signed three consultancy contracts, and he been working in this position since 2014. The scope of his role encompasses consulting in Technical Operations and in Mergers and Acquisitions for oil and gas companies in the Middle East and Eastern Europe Regions. Some of his key responsibilities include carrying out full due diligence for International Exploration and Production (E&P) companies, negotiating business and legal terms and conditions for mergers, and acquisitions and farm outs for oil and gas service companies and E&P operating companies. Raid has also revised the company’s organizational structure and business work flow while providing recommendations to optimize the organization and enhance the work flow and communication both internally and externally.